The recent turmoil in North Africa and the Middle East disproves the idea that dictatorships are acceptable to the people of these nations. From the uprising in Tunisia to the overthrow of Egypt's Hosni Mubarak and rebellion across the region, the tide is turning against oppressive regimes. 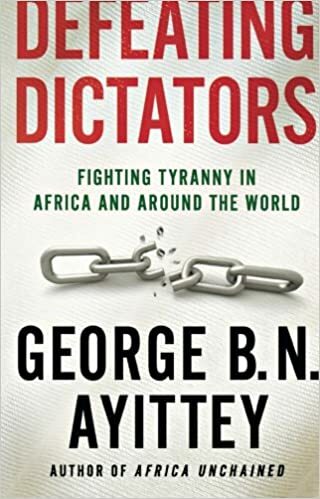 In this timely and urgent narrative, White House advisor on Africa George Ayittey takes a hard look at the fight against dictatorships around the world, from Eastern Europe in the twentieth century to the present turmoil in the Middle East. He describes the historic circumstances that led to the rise of brutal dictators and explains how, despite the best intentions and billions of dollars in aid, Western governments have been complicit in helping dictators consolidate power. He not only shows how the popular uprisings underway can best bring about democracy, but warns how democratic movements can inadvertently pave the way for more dictators. Ayittey examines strategies that have worked in the struggle to establish democracy through revolution, and suggests that by harnessing the power of democratic institutions and grassroots efforts, Africans can bring stability and security to the continent.